Currently operating in seven regions across the country, the Jon Egging Trust (JET) helps young people to identify their strengths, overcome adversity and work towards achieving their ambitions, something Jon was hugely passionate about. 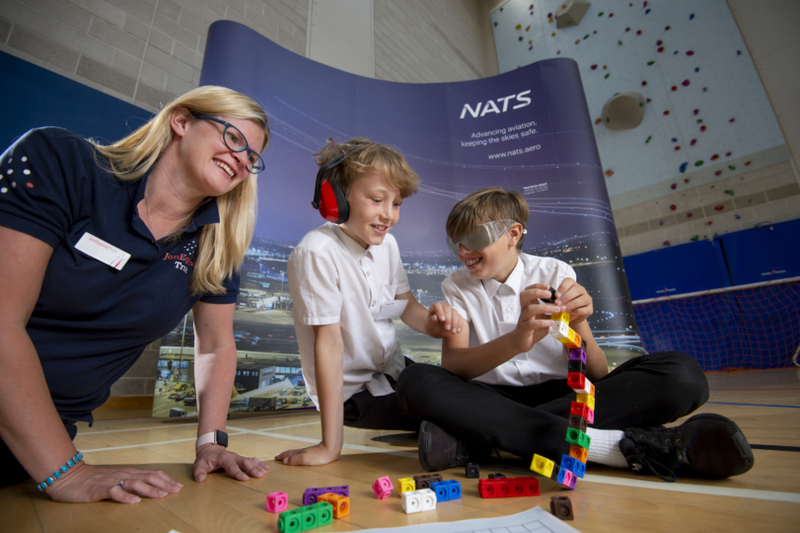 The children were met by JET’s Area Director South, Allie Hack, and NATS’ Safety Specialist Martin Smith, to kick off the programme with a day of aviation themed activities and games. Martin said: “I am so pleased that NATS is working with the Trust to help them expand into the Hampshire region. This exciting development will enable the Trust to support even more young people. Allie Hack, JET’s Area Director South, said: “JET is extremely proud of our new partnership with NATS. The complex dynamic of their work and enthusiasm of the staff will enable us to provide high quality inspirational learning experiences for local students. Pictured: Children from Brune Park School taking part in the JET Inspirational Day at NATS control centre in Swanwick.